Not into surfing? Catch a different kind of wave... the archery wave! It's all here! 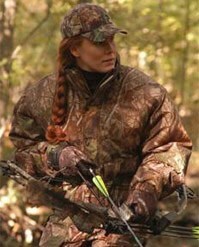 Our archery dealers include Martin, Parker, PSE, and many more. We carry hard to find rests, arrows, cases, and bows. 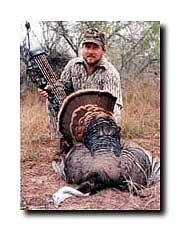 Our selection of targets is amazing! We carry Stanley Hips targets, the best quality targets around. Whether you are an old pro or just a beginner, we have what you need. 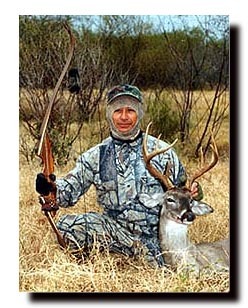 Our store is full of everything from handmade bows to arrows we fletch for you to camouflage clothing from Bushlan Camo, the disappearing act, in Laredo TX. 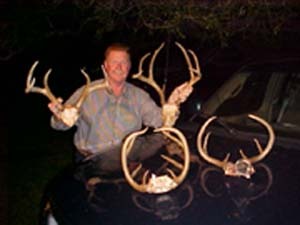 Tim Bowman with last year's horns. All archery of course.